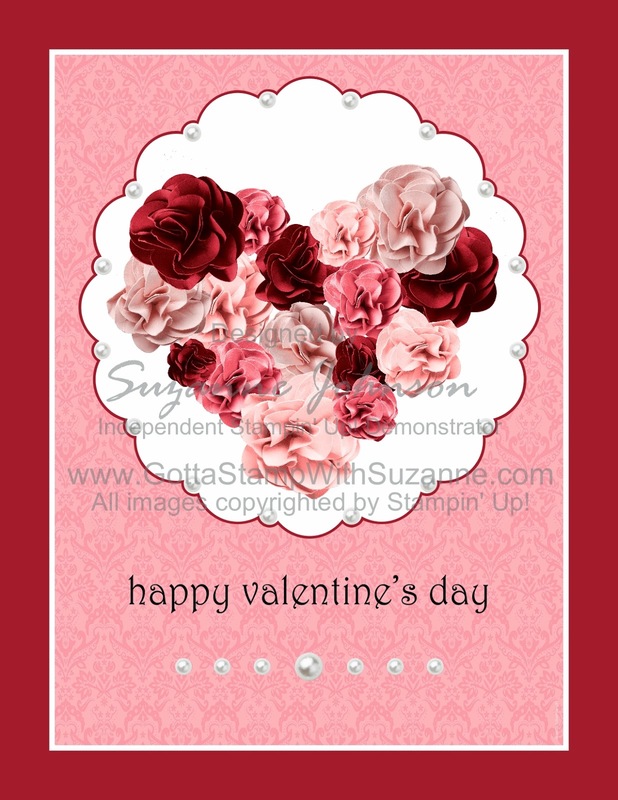 GOTTA STAMP WITH SUZANNE JOHNSON: MDS MONDAY - MORE VALENTINES! 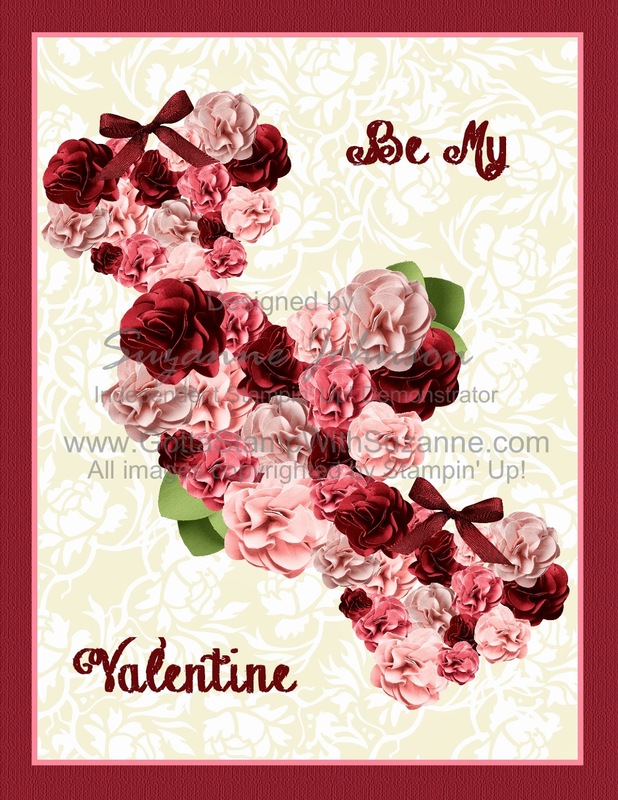 Here are two more digitally-designed Valentines I created with my saved heart of roses (see my Feb. 7, 2014 post for more about that). You can see in the second image that I reduced the size of the heart and added a Seam Binding Ribbon bow to the two smaller hearts. I recolored a Cherry Cobbler bow with Real Red to make a better color match for the roses. The sentiment is a stamp from Teeny Tiny Wishes stampbrush set. The sentiment is text I typed using the font "Chalk Hand Lettering Shaded" which is available free online. To create a heart-shaped group of blooms, I started with a heart-shaped punch in the size I needed. I used this as a template as I added the bloom embellishments. The layering tool makes the process of arranging the blooms very easy. If you have little open spaces between your blooms when you are done, you can color the heart punch with a coordinating color (something dark from your bloom colors looks best) and add it to your saved group.